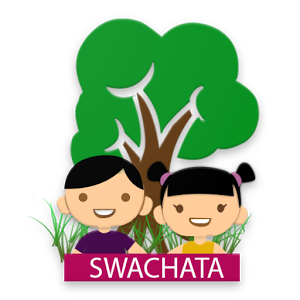 “Swachata” is a technology based solution for sustainable maintenance of hygiene toilets. Government of India, is working on swachabharat mission with a vision to make the country defecation free to achieve this huge investments are make in facilitating, Mobile toilets, public toilets etc., In line with the vision of government of India several states, municipalities and many organisations are promoting the constructions of facilities in every appropriate place as possible. HMs Download Swachata app and register your school and upload photos immediately.